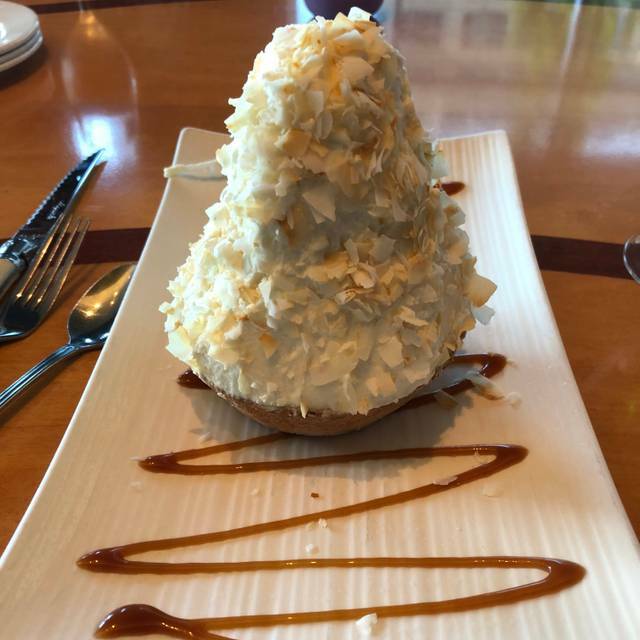 Chef John Howie's Award Winning Northwest Cuisine. 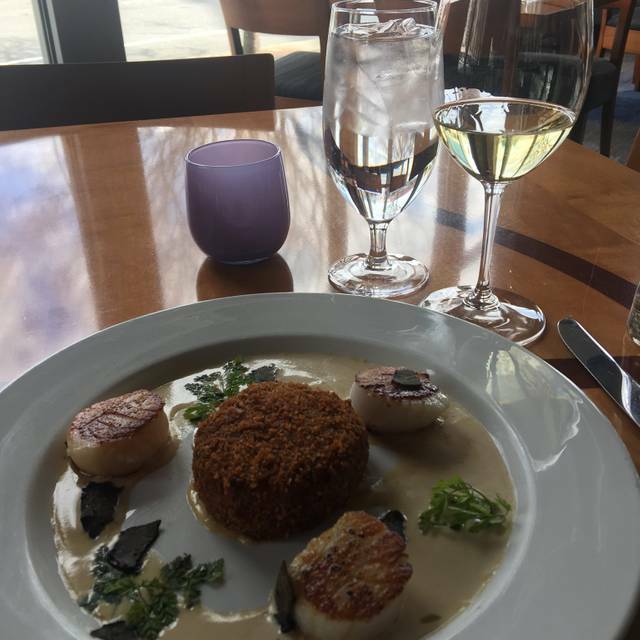 Seastar Restaurant & Raw Bar was voted "The best new restaurant in Western Washington by the viewers of KING5 Evening Magazine", and named the "Best new wine list in America by FOOD & WINE, July 2003". 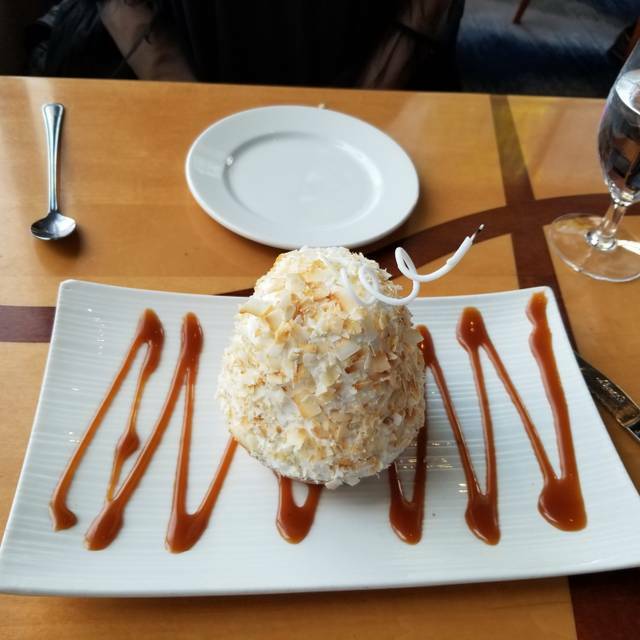 Chef Howie's menu offers fresh Pacific Northwest seafood, Kobe steaks, corn fed Nebraskan beef, pasta, salad and tantalizing raw bar items such as sushi, ceviche, poke and fresh shucked oysters. Seastar Restaurant and Raw Bar offers several catering facilities. The Seastar Room, The Civica Room, The Fireside Room and for weddings & larger events we offer The Great Room and West Patio. Seastar will provide you with the attentive and detailed service that will make your event extra special. We also specialize in off site catering. We can bring Seastar to you, for all your special events. Please feel free to contact us via email at catering@seastarrestaurant.com. Weddings, private dinners, theme parties, cooking classes or special events. Seastar's professional off-site catering team can take care of your needs. Your menu will be designed specifically for your event by Chef Howie. We are a full service provider, taking care of all your tables, chairs, rentals, linen, service, entertainment and food and beverage needs. Please call or email us at catering@seastarrestaurant.com for more information! Valet is offered for a $10 charge during dinner service, and is free of charge during lunch. Also offers validated parking (3 hours at dinner and 1 1/2 hour at lunch) for parking garage located below the building. This continues to be one of our favorite restaurants. Fantastic food and service. A bit pricey but great for special occasions. Absolutely wonderful! The steelhead was delicious, as was the wild salmon. It’s a splurge but well worth it. Have been loyal patrons since they opened. You can't go wrong with any item on the menu, but personal favorites include the salmon, the trout, sushi and sashimi, the scallops and the best deviled eggs in the world. Service is always superb - attentive but not intrusive. Absolutely amazing! Our server, Molly, was amazing and always there when we needed her. She made great recommendations. With a vegetarian, a pescatarian, and two carnivores there were options for everyone. Never fails! Every time I return to Seattle for a visit in my old hometown, we go to see SeaStar! We each chose something different from the menue and found all to be delicious. The Diver Scallops were the best I’ve ever had! Our waiter, Josh, was so good to us at this birthday lunch, and accommodated our different arrival times beautifully! Highly recommend! Superb white table cloth restaurant. Excellent food. Vegan, Fish, and Steak options. Good for all!! Really fantastic seafood and service. Always a big hit! The food was really good, but it was overpriced. For how expensive it was, I was expecting the restaurant to be more formal, so I was surprised to see the waiters in jeans. We ordered the smaller plates and shared so that we got to try many things. We are glad we did that. It was very fun. Pedro was our server and he was terrific! We brought our kids for the first time and they loved their food. We'll be back! Loved the Restaurant, just wished I asked for a table away from the busy doorway. Simply great fresh seafood, sophisticated but accessible. I’ve been to see star many times. The last of which was on September 26 of this year, for my birthday. In the past, the meal has been consistently fantastic. Our last visit left some of us less than impressed. The Parmesan sole, was not as crispy as it has been in the past. The Caesar salad was bitter, Showing that the kitchen didn’t taste it before they sent it out.The sushi was fantastic, as was the sashimi, but the halibut ceviche, had little to no flavor. Overall, it was a good meal, but for the money, I would have liked it, to have been a great meal. We ended up eating off the starters and tastes menu rather than the entrees. it was a great way to try several items that all looked good. 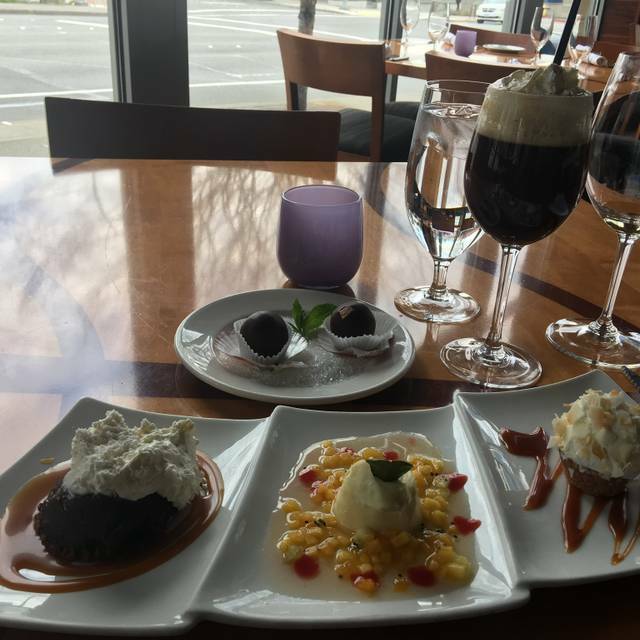 Our server was lovely, though, and made sure we went away with a free dessert each. I was very impressed with the food, wine and service. The food was outstanding and they had an extensive wine selection as well. The waitpersons were also incredibly attentive. The only negatives I have to say about the place is that it is incredibly expensive and the decor is a little tired. That being said, if you are not too concerned with price, then I would highly recommend this restaurant to you. I had the Swordfish which was outstanding. The food is the best and their service is incredible. It is pricey but worth it. We had a wonderful lunch! 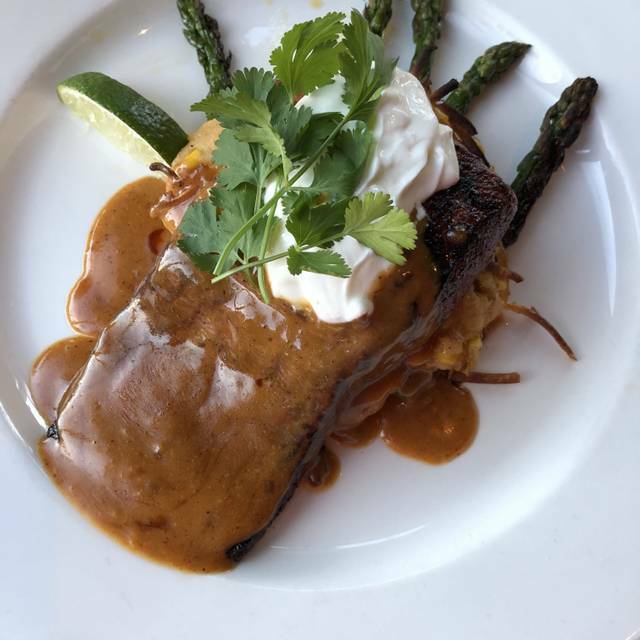 The mahi mahi is always a favorite! I have always loved sushi and enjoy it at this restaurant. An out of town friend ordered the 84.00 seafood platter which was underwhelming in presentation and taste for the price. Nothing was melt in your mouth good, but it also was not bad. I have had much better for the price. We had not dined at Seastar for several years and were disappointed. 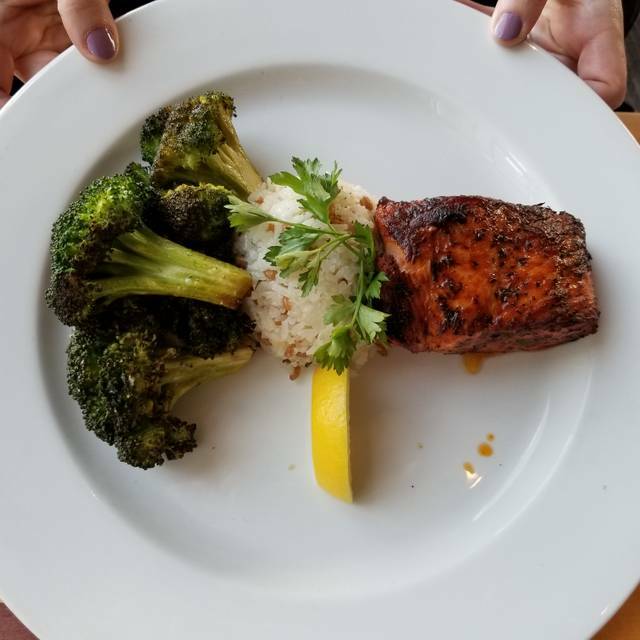 The cedar planked salmon with grill blackened broccoli and room temperature rice was disappointing, overcooked and overpriced. Recommend ordering the small plate options. Wait staff were great but tables are very close together. Met my boss here for an informal dinner. Nice atmosphere and there was convenient parking underground, which the restaurant validated. We both ordered the salmon (different versions) and neither one was anything special. Not terrible but no better (or more interesting) than something I would grill myself at home. The dessert, crème brûlée, was quite nice. The service was indifferent as well. Overall very disappointing for an expensive place that bills itself as a top-notch fish restaurant. They were very knowledgeable with food allergies and were able to accommodate my daughter's tree nut allergy. This was for my birthday, and I selected Seastar because I know the food is so good. I had Meyer lemonade, crab bisque, blue cheese and pear salad, ancho chili steelhead, and raspberry molten chocolate cake. I honestly don't know how any of those could be improved. John Howie is a genius. Awesome service and great food. Had a wonderful dinner with family and out of town guests. I've been to Seastar many times, though it had been a while. 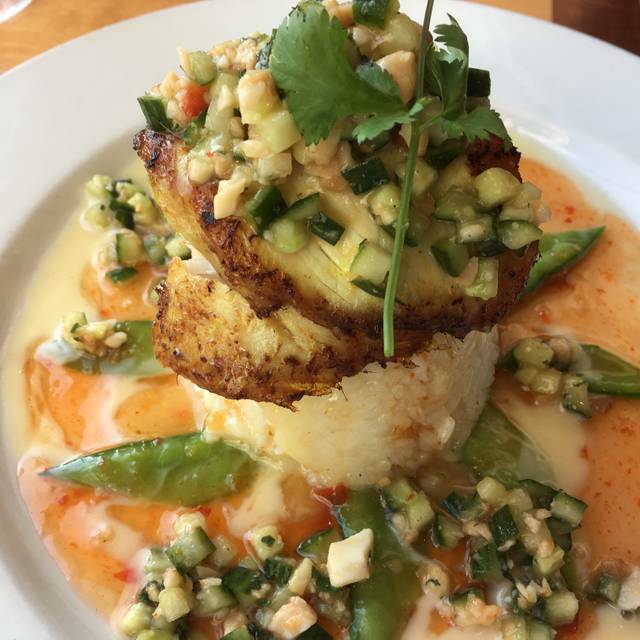 They had changed their menu months ago and took a favorite item off the list--a Hawaiian fish on sticky rice with macadamia nuts and cucumber in a beurre blanc. But it's back!! 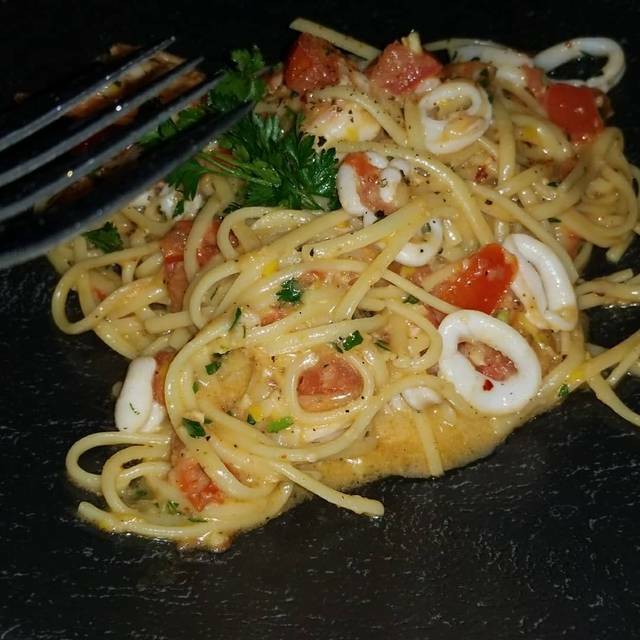 And it was absolutely delicious, along with a perfectly cooked Parmesan-crusted petrale sole. They also have my favorite crab cakes on a bed of greens with a delicious sweet and sour sauce and lime vinaigrette. 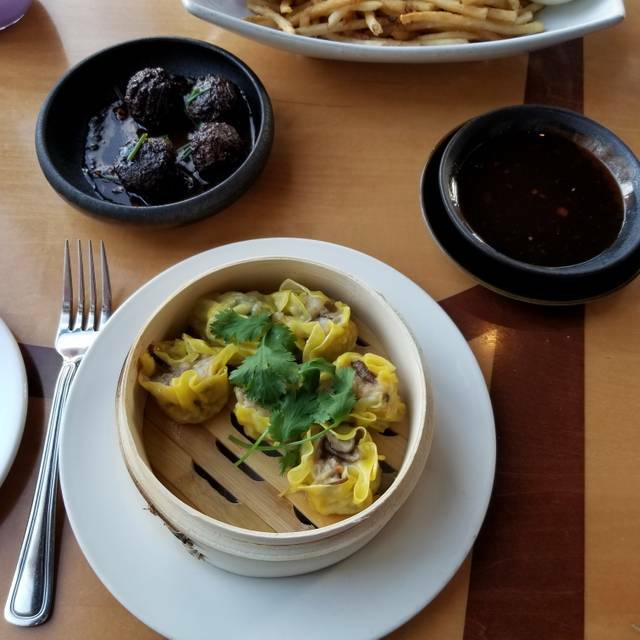 The prices are on the higher side, but portions are generous, so it's not unreasonable to share an entree if also having an appetizer and salad or soup. It was pretty noisy for a Tuesday night, but usually it's not quite that loud. It seemed like there were several large tables near us with business dinner/drinks going on that contributed to the sound level. The service was friendly and perfect. The meal flowed nicely throughout the evening. OUR SERVER RENATA WAS GREAT, MADE SUPER RECOMMENDATIONS TOO ! THE MENU HAD GREAT CHOICES, FOOD WAS FABULOUS AND PARKING WAS EASY TOO. We have been before and food and service are always very good. Not crazy about the ambiance, looking out on the street through large windows We had a bunch of small plates for lunch, which was fun. Beware that they have the same menu for lunch and dinner, so lunch can be a little pricey. I'm a longtime fan of Seastar, but this visit was just off in so many ways. First, we weren't seated until >20 minutes after our reservation time. The hostess staff was very apologetic and professional about it, but it was disappointing. Then, the server took our order and apparently there were two King Salmon entrees on the menu, which I hadn't noticed, so when I ordered the king salmon she didn't clarify which one and brought me the wrong one. Probably as much my fault as anyone's, but it would have made sense for her to clarify. She handled it very nicely and brought me the replacement. However, both tasted bad. The first one was overly seasoned with a smoky flavor - main and sides alike - very overpowering. The second one was totally bland. No seasoning at all. For almost $50 for an entree, I was expecting better taste. The atmosphere is lovely and the service is great. But the food left us feeling really unsatisfied and for those pries, we were very disappointed. Have been a patron since they opened. Chef Howie runs a tight ship and we've never been disappointed in the menu or service. Sushi/Sashimi/Ceviche is fantastic. Don't overlook the BEST deviled eggs in the world! The salmon is done to perfection and SeaStar is our must go place when Copper River season comes around. When available the salmon carpaccio is a delight. Excellent food and service. Wine list was pricey but we found a reasonably priced Oregon chardonnay. Overall, recommend for a nice evening out. I thought Seastar was supposed to be the Premier Seafood restaurant on the Eastside. It was terrible. We had the sushi tower it came with a fried shrimp, fried crab cake, and scallops that at least weren't fried. The restaurant was empty at noon on a Friday and it looked dated and run down. The staff was nice and professional but I will never go there again. I was embarrassed that I had taken our out of town business partners there..ugh. For fifteen years this has been our go-to spot for seafood in the Puget Sound region. Fresh local fish, exceptional raw shellfish, creative and well executed preparations and a competent bar and wine list with a few embedded bargains set an impressive table. Our party particularly enjoyed raw oysters, a very well-thought hot mushroom starter, the house salmon plate (served very rare) and crusted petrale sole. Our only regret was coming on Labor Day. Our wait and service team was not particularly interested in being at Seastar on a holiday (and ultimately neither were we). But we traveled 2100 miles to our former hometown and weren't going to miss a chance to enjoy a Howie curated experience (to be fair our first diappointment in years).